KATHMAR PARK MAVERICK Grey Gelding, 1994. (Mash / Zareefa). 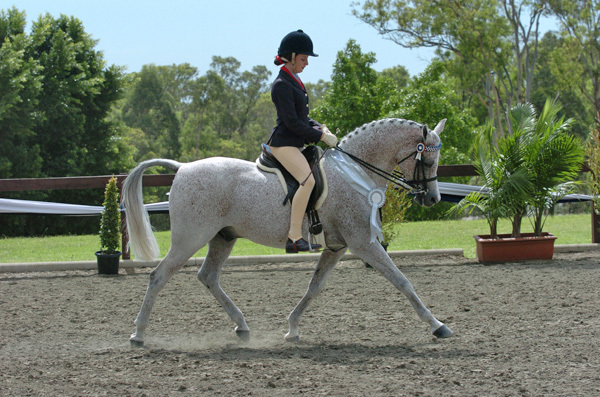 The Arab Horse Society of Australia are pleased to announce the winner of their 2014 WAHO Trophy, the 20-year old Kathmar Park Maverick. The following citation has been received from his co-owner, Margaret Parker. At the recent Australian Championships in Melbourne there was much pride in the Kathmar Park camp when Kathmar Park Maverick was called upon to present ringside for the presentation of the 2014 WAHO Trophy. 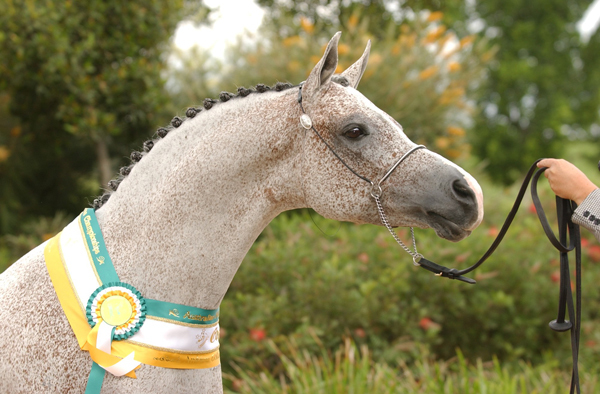 This trophy was awarded to Maverick to acknowledge his role as an Ambassador for the Arabian breed. Over a career spanning 18 years Maverick’s versatility ranged from an impressive yearling colt, a commanding senior stallion, superior halter and performance gelding to a relaxed and easy going leading rein mount. In the halter phase of his life there was a high degree of personal satisfaction in breeding, training and showing Maverick to the pinnacle of his career. Having accomplished this and not being ready to retire him, a career under saddle was the obvious next step. Although not broken in until he was a 10 year old, he was to become very successful in this field. As well as winning the title of Australian Champion Gelding under Saddle, Clint Bilson took Maverick to a further five performance Championships. His lifetime tally stands at 7 Australian Championships and he was the first purebred gelding to take both the Halter and Saddle titles. Michelle Young was next to benefit from his experience and together they enjoyed showing, adult riding and some dressage. Maverick retired from the ring in 2013 after several seasons as a “kids’ pony” competing in Leading rein and handler classes with the then 6 year old Matthew Parker. 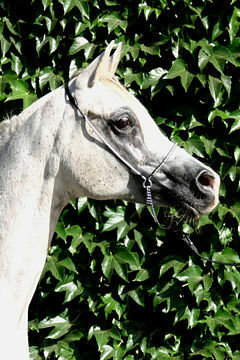 He has represented the Arabian breed at many expos and public displays including numerous appearances at Equitana where he was always a crowd favourite. 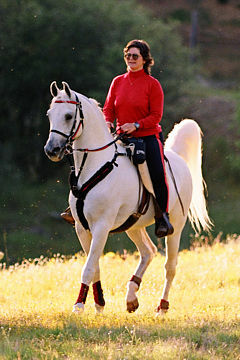 Maverick is the fairy tale Arabian. He has always had that special “something” that other people have admired and he has given us much happiness, immense pride and great satisfaction. We are all fortunate to be owned by him.